Foraminal narrowing describes structural change in the foraminal spaces through which the openings become partially or almost totally closed. The neuroforamen are openings between vertebral bones which allow the spinal nerve roots to exit the spine laterally and go on to serve the motor and sensory needs of virtually the entire anatomy. Since nerves exit the spine at every level of the backbone, narrowing conditions in the foraminal spaces may prevent easy and successful egress, causing what is commonly known in layman’s terms as a pinched nerve. This essay explores some lesser known facts of neuroforaminal stenosis. The medical name for decreased foramen is neuroforaminal stenosis. This means that one or more of the normal openings which allow passage of spinal nerves have been sealed up to one degree or another. 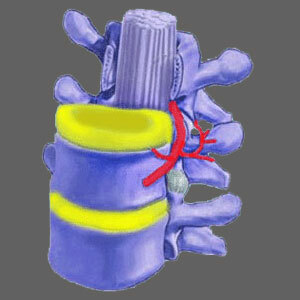 Stenosis of the foraminal spaces is rated as mild, moderate, advanced or extreme. Mild to moderate versions of the condition are highly unlikely to elicit any foraminal stenosis symptoms at all, since there will still be more than enough room of the nerve to exit without compression or impingement. In advanced or extreme cases of stenosis, the nerve may be partially or completely pinched, causing what doctors call a compressive neuropathy. It should be noted that this is one of the most often misdiagnosed spinal conditions, since most pinched nerves are theorized, not actual, supported by symptomatic correlation and the often illogical location and duration of pain. Clinical research has definitively proven that most true compressed nerves are painful for only a short time and then stop signaling altogether. 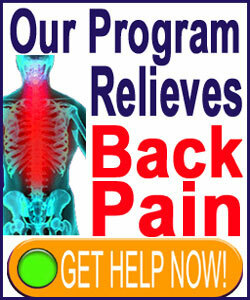 This will cause objective numbness and weakness in the areas of the body served by that affected nerve. No chronic pain. No widespread pain. No pain anywhere but the area served. I talk to many patients who have been diagnosed with compressed nerves, but only demonstrate pain, and no neurological dysfunction, or experience subjective neurological symptoms more common to regional ischemia than stenosis. Additionally, many of these patients have unilateral stenosis on the right, but have symptoms on the left, or vice versa. Somehow, their doctors will still make the pinched nerve diagnosis, despite the overwhelming preponderance of the diagnostic evidence. There can be no other explanation besides ignorance or the far more logical desire to get the patient into profitable foraminal stenosis treatment, despite the odds being stacked far in favor of failure of said therapies. Sure it is possible for nerves to suffer selective impingement which means they are only sometimes or partially affected by a foraminal stenosis condition. These may be positional issues or movement-related issues, but also rarely correlate to the actual symptomatic complaint. I hate to say it, but my gut reaction when I hear pinched nerve is always an internal voice which says misdiagnosis. In many cases, I am right, but in some instances, I admit the diagnosis is valid and sensible. The bottom line here is that decreased neuroforaminal spaces are common and universal as we age, especially in the cervical and lumbar spine. Cervical foraminal stenosis and lumbar foraminal stenosis are findings on the vast majority of MRI reports I see, yet are rarely the actual source of pain. Remember that a spinal neurologist offers the best hope for properly correlating your diagnosis to your present symptoms. I always suggest care from one of these professionals as opposed to any other type of physician or complementary care provider when it comes to spinal stenosis.